The HDX Universal Flooring is manufactured from tough, specially formulated polyvinyl that is resistant to most contaminants commonly found in garage and work environments. It helps prevent concrete deterioration, hides cracks and stains, prevents staining on newer floors and creates a moisture barrier. Just roll the product out onto your designated area and enjoy or for a glue option use an acrylic base vinyl adhesive or tape edges with an acrylic based double sided tape. The HDX flooring can be trimmed to a perfect fit using a utility knife. Use a single mat for focused area protection or multiple mats to provide wall to wall coverage. Tough enough to be used in the garage, attractive enough to be used everywhere; basements, laundry rooms, trailers, vehicles, stores, workshops, exercise rooms, offices and equipment rooms. Anywhere you need attractive high quality flooring that protects. How many times have you thought of adding a bathroom or just renovating the old one, but decided not to because of the expense? Jade offers quality products for hassle free renovation projects, not to mention our great prices! The Sorrento Acrylic Corner shower packages include an acrylic shower base, acrylic shower walls and a stylish door. A Mirolin shower package provides a spacious corner shower unit that utilizes a relatively small space; the perfect solution for those smaller bathroom projects. Shower only, accessories and waste and overflow not included. 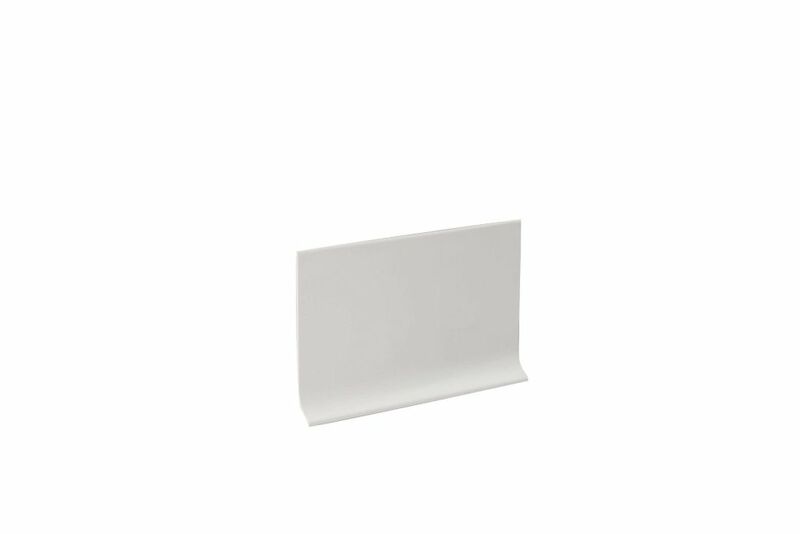 4 Inch x 100 Feet Vinyl Wall Base - White High quality cove base manufactured using 100% virgin materials. Advanced co-extrusion technology allows for tough scuff-resistant surfaces while maintaining overall flexibility and ease of installation. Cove base installation for a clean, fresh look.